It’s a treat to engage in a Giving Back book talk in Charlotte, my home city. Generous support from Snyder’s-Lance, Inc. and its African American Associate Network as hosts of the event is appreciated. 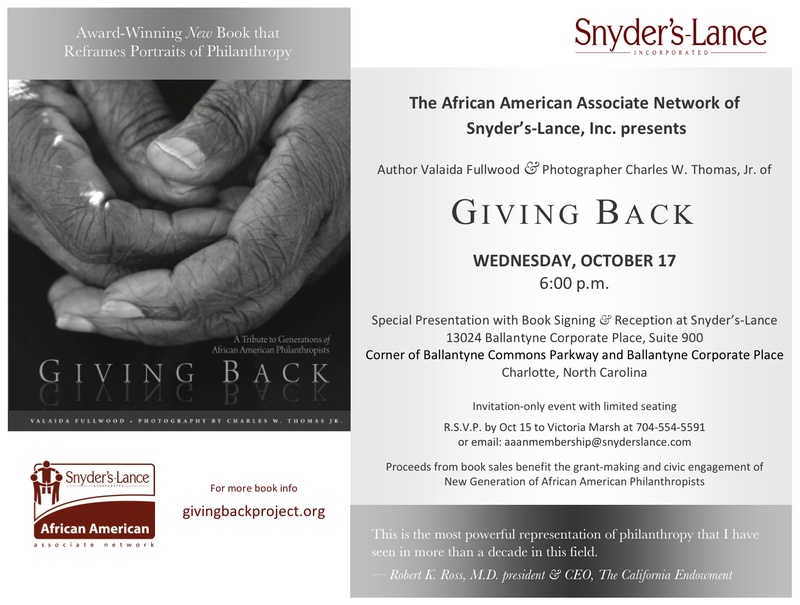 This entry was posted in book event, Charlotte, Giving Back, gratitude, NGAAP-Charlotte and tagged African American Associate Network, Ballantyne, book event, Book signing, Giving Back, giving circle, New Generation of African American Philanthropists, NGAAP-Charlotte, philanthropy, reception, reframing portraits of philanthropy, Snyder's-Lance by valaida. Bookmark the permalink.